Rum is an alcoholic beverage, originally made out of the molasses of sugar cane. Later on, other varieties distilled from sugarcane juice were added– Rhum Agricole and Cachaça. Rum’s minimum amount of alcohol is 37.5%. Rum has been produced since 1640. Its origins lie in the Island Barbados, which was colonized by English settlers. To a certain extent it owes its emergence to Christopher Columbus, for he brought sugarcane from Europe into the new world. 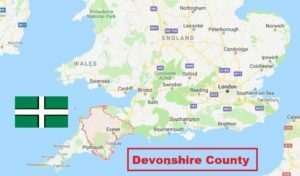 The name “rum” most likely has its origin in the word “rumbullion”, meaning tumult or uproar in the English Devonshire dialect. This is most likely a description of the effect the beverage had on its consumers. The name “rum” is not a protected regional trademark for a beverage, like for example Ouzo (Greece) or Cachaça (Brazil). It can be distilled in any country. Due to that reason there are types of rum being produced in countries which do not have the climate to grow sugarcane – among many others Germany, Japan, Russia. Those distilleries import the molasses from abroad and then process it further. 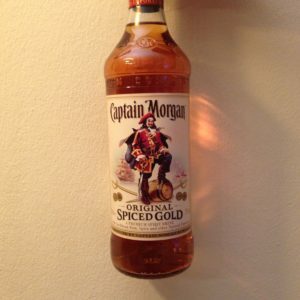 For a long time, rum had the reputation of being a cheap, low quality spirit, a beverage for poor people. Many times it would be used as an ingredient for baking, as grog or as an ingredient for cocktails. In comparison to Whisky or Cognac which were classified as more noble and real experts would drink pure, it did not attract much notice. Those times are over. Throughout the past couple years, rum has been able to catch up. Nowadays the market offers many different varieties, with quality and taste considered to be high-grade. 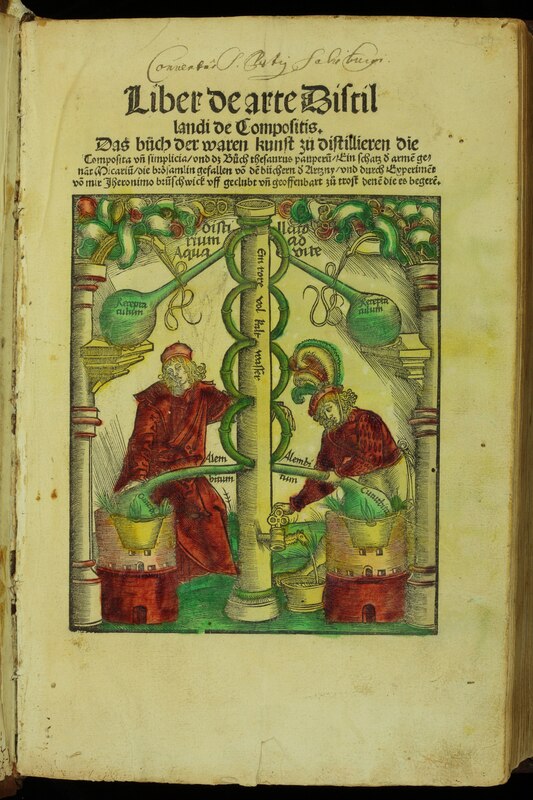 The distillation of alcohol was already practiced in old China and the Babylonian Empire. In Europe, this knowledge fell into oblivion after the Late Antiquity. It was only recovered through the Arab conquest of Spain in the 8th/9th century and the involved exchange of knowledge. In the 13th century, people started using cooling devices, leading to a more or less professional way of distilling. Around this time, Europeans started to distil hard liquor. 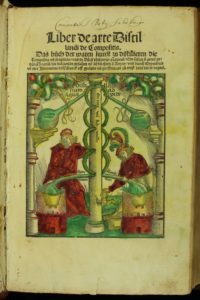 In the beginning, it was meant for medical purposes. The sugarcane most likely has its origin in Asia. It reached Europe in the first century AC and was cultivated in the warm regions of the Mediterranean Sea. In 1492, Christopher Columbus (1451-1506) reached today’s Bahamas. Later he also discovered Cuba and the Island Hispaniola – today known as the Dominican Republic and Haiti. Throughout his travel he brought sugarcane along and started cultivating it in the Caribbean. The demand in Europe was very high and sugarcane is a rather fruitful plant, especially when the climate is as favourable as in the Caribbean. A prosperous industry was established. The first activities in the new world were introduced by the Spanish and the Portuguese. They constructed colonies and settlements and started to engage in agriculture. First of all, the islands’ natives were forced to work on the fields. After many of them had died of the illnesses that had been introduced by the Europeans, an intense trade with African slaves was established. Like this, a constant supply of workforce for the colonies was ensured. Over the time, the big economical success of the export of sugar awoke the desire of other countries. Thus in the early 17th century the English, French and Dutch started to set up the first bases. In the Caribbean, they used the islands that had been abandoned by the Spanish and Portuguese due to lack of interest. 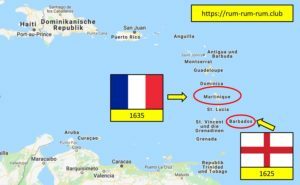 In 1625 the English took over Barbados and the French Martinique in 1635. After a couple of years the cultivation of sugarcane started on those two islands. Throughout this time Barbados received a complete make-over, socially as well as agriculturally. Until 1640, the vegetation and society were adjusted towards the cultivation of sugar, which is why this period is also called “sugar revolution”. After leaving their homes, people obviously don’t lose their joy for a good beverage. The settlers still wanted to consume spirits. However the import of alcohol from Europe was very expensive. Therefore, the colonists tried to distill anything that the vegetation offered. A lot of waste incurs throughout the production of sugar, which is why people started experimenting with those leftovers. First, the distillers used the sugar foam that accumulates when boiling the sugar. The result was not one for gourmets. A coincidental discovery helped later on. 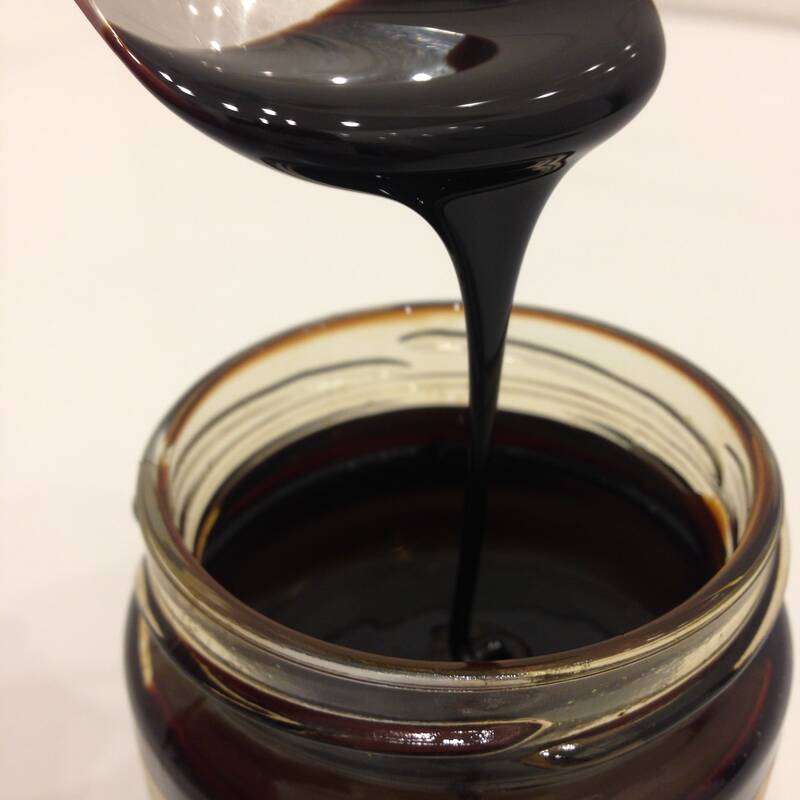 When producing sugar, molasses remains – a thick, brown syrup. When the sugar is left to dry out after boiling, molasses drains off. What remains is the solid crystal sugar. Molasses as a production remainder does still contain a lot of sugar; however it cannot be crystallized anymore. Therefore it would often be used as animal feed or sweetener. The distillers realized that molasses starts fermenting when water and yeast are added. In the first instance this generates a sweet wine with low alcohol content. Through distillation, however, this can be turned into a high proof brandy. From a financial point of view, this was a stroke of luck for the plantation owners. They could now convert a considerably bigger part of their raw material into cash. In 1651, rum was documented for the first time. 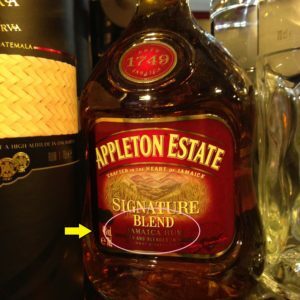 A Barbadian inhabitant, Giles Silvester, wrote in his notes: “There is one main beverage that is distilled on the island, called “Rumbullion” or “Kill Devil”. It is made from sugarcane and tastes hellish hot and terrible.” The description has its origin in the English language area, the Devonshire dialect. 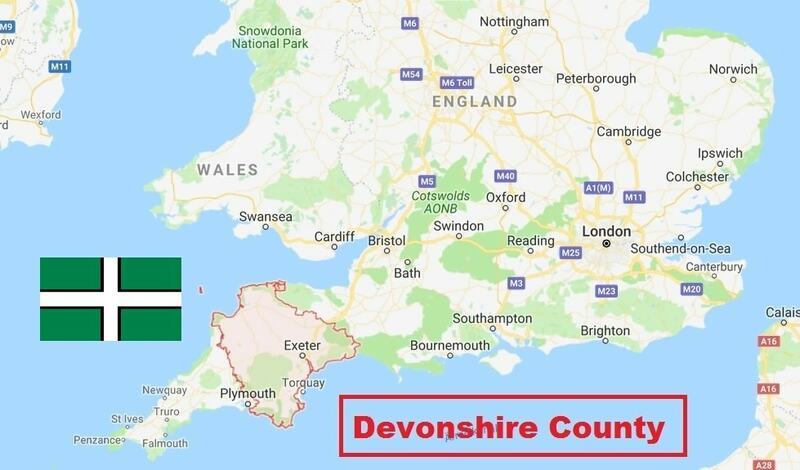 Many inhabitants immigrated from the western County Devon, which makes the name’s derivation quite plausible. In 1661, the short name “Rum” as well as “Kill Devil” – another common term at that time – were mentioned by George Warren. 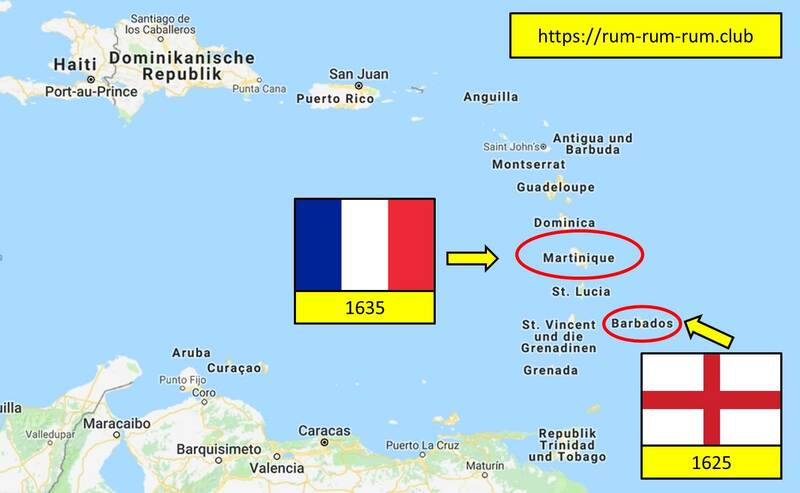 Since around 1667, the French (“Rhum”) and Spanish (“Ron”) adapted the name and has become accepted worldwide. The first distillates hardly resembled what we call rum today. The quality of spirits such as Whisky, Gin, Cognac and also Rum gradually improved through the general improvement of the distillation process and the corresponding technologies. The production increased a lot. Until the end of the 17th century, Barbados alone had produced 3.8 Million liters, Martinique around half that amount – per year. A reason for the increasing demand was the fact that the sailors had to be supplied with hard liquor on their long travels from Europe. For the way home, the provisions had to be restocked with the local beverages. The marine was a profitable outlet market. The merchants also served colonies where there was no sugar industry and no distilleries. In North America, rum became established as direct competition for whisky. Additionally, it became a sought-after medium of exchange, which could be traded for slaves or goods in Africa. Rum became internationally famous and was established on the world market. 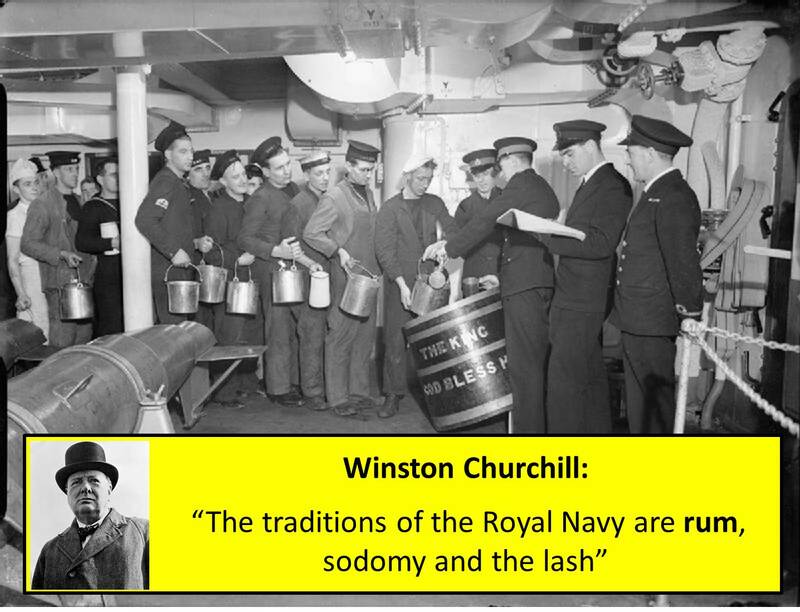 In 1731, it even led to the Royal Navy certifying their sailors the right to a daily ration of rum. This tradition was kept alive a very long time. 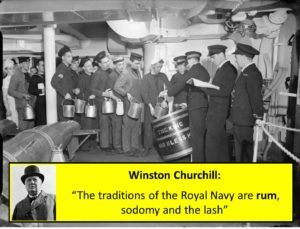 An important realization, which most likely relates back to the Royal Navy, is that the long term storing of rum positively influences the taste of the beverage. For the longer journeys it would preferably be stored in wooden barrels. The sailors soon came to notice that the drink tasted way better towards the end of their journeys. Two things that advanced the distribution of rum happened in the mid 19-hundreds. There were a couple years of bad wheat yield on the British Islands. Therefore, the whiskey production had to be reduced. Besides, there was a vine fretter plague in Europe. The vermin destroyed big parts of the grape supply in many European countries, especially in France. The noble cognac, made from premium wine, also became scarce. This constellation led to many people now being “obliged” to satisfy their thirst with rum. It was in this phase that rum became a beverage that was popular in most European countries. The main ingredient of Rum is sugar cane (saccharum officinarum). It grows especially well in tropical and subtropical environments, preferring temperatures between 25-30°C. It stops growing when temperatures fall below 15 °C. After cultivation, it takes 9-24 months to be ready for harvest. The sugar content gets examined regularly during this time in order to determine the level of maturity. The stems are cut above the ground, either manually or automatically. They grow back later on. A created plantation can be harvested over and over again for up to 8 years. The upper part of the leave does not contain sugar and therefore gets removed. After harvesting, the yield has to be processed quickly to avoid the spreading of bacterial cultures on the cut surface. Afterwards, the plants get transported to a mill, where the sugar juice gets extruded. The following short video shows the process of juicing with a traditional mill. Through boiling off the liquid in the extracted juice, the crystal sugar gets extracted. It is also used for the production of the so called “Rhum Agricole”. 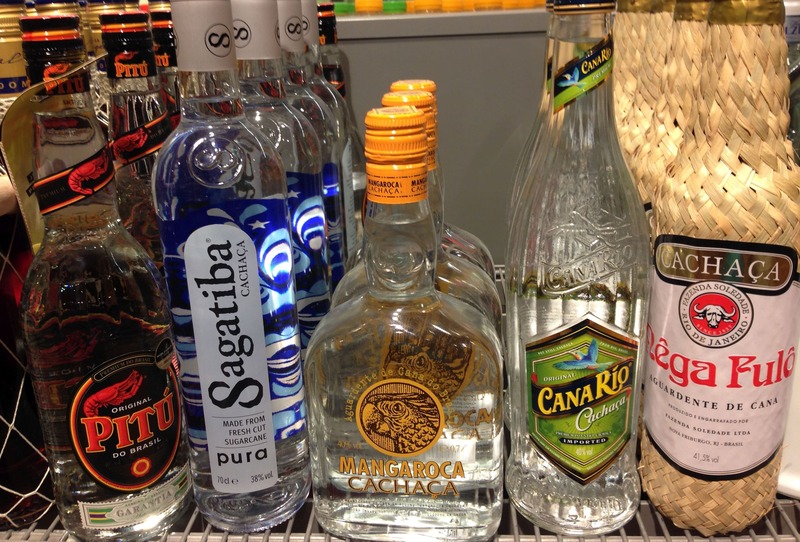 The Brazilian “Cachaça” is also directly made from sugar cane juice. The traditional rum, however, is produced from a remainder of the process: molasses. Molasses is a thick, dark-brown syrup that still contains around 60% sugar, but is not crystallizable anymore. Fermentation is a metabolic process that consumes sugar in the absence of oxygen, producing organic acids, gases or alcohol. In the case of rum production, it is the metabolic transformation into alcohol and carbon dioxide, by adding yeast cultures. The fermentation is an important step because not only the sugar is turned into alcohol, but two non-elusive flavoring substances – Aledhyde and Ester – are created, which characterize the rum’s taste. It is due to this reason that quality conscious producers do not use standardized yeast, but cultivate their own over generations. There are hundreds of different kinds of yeast and each of them can influence the rum’s taste. The selected culture also influences the duration of the attenuation process. For some types, the process can be completed after six hours, while others take up to a week. Producers of industrial mass products usually use “turbo yeast” in order to keep the costs low. During fermentation, the producer has to keep a close eye on the temperature. Throughout the attenuation process, a lot of heat is released and the cultures can die off when the temperatures increase too much. The result would be mash of low quality. The result of successful fermentation is a “sugar wine” / mash with alcohol content of 6-10%. The alcohol has to be distilled from that mash in the next step. As generally known, water starts evaporating at 100°C. The boiling point of alcohol (ethanol), however, lies at 78.37°C, and the one of the poisonous methanol only at 64.7°C. Those characteristics can be utilized by allowing the methanol to evaporate, and afterwards heating the mixture to just above 78.37°C. Even though the ethanol boils first, there is some water being transferred into the steam, with the alcohol predominating. This steam mix is being transferred into a receptacle where it condenses further. The result is a distillate with alcohol content considerably higher than the one of the mash. Subsequently, a second distillation process takes place, this time extracting the alcohols with a boiling point higher than 78.37 °C. Those are the so called fusel alcohols. What is left is a high-proof brandy that contains the “good” alcohols and the desired flavoring substances. It gets processed into rum. The storage takes place depending on whether one wants to produce white or brown rum. For white rum, steel cylinders or wooden barrels are used. The rum gets stored for a minimum of three months. However it could also be stored for several years. The wooden barrels can turn it brown in the mean time. When this happens, it gets filtered through wood charcoal in order to get the white color back. For Bacardi, for example, a mixture of tropical woods and coconut shells is used. This step also influences the taste of a variety, depending on the filter material that is used. Brown rum gets stored in wooden barrels that were previously burned out for longer periods. This “toasting” leads to the wood later emitting flavor and colorants to the rum. Oak wood for example contains, next to sugar, vanillin. This way the rum gets a characteristically, clearly better taste. This way of storing also enables an exchange with the air, which is necessary for the maturing and also formative for the taste. Sometimes barrels are used that had previously stored whiskey, which of course gives the rum a distinctive taste. 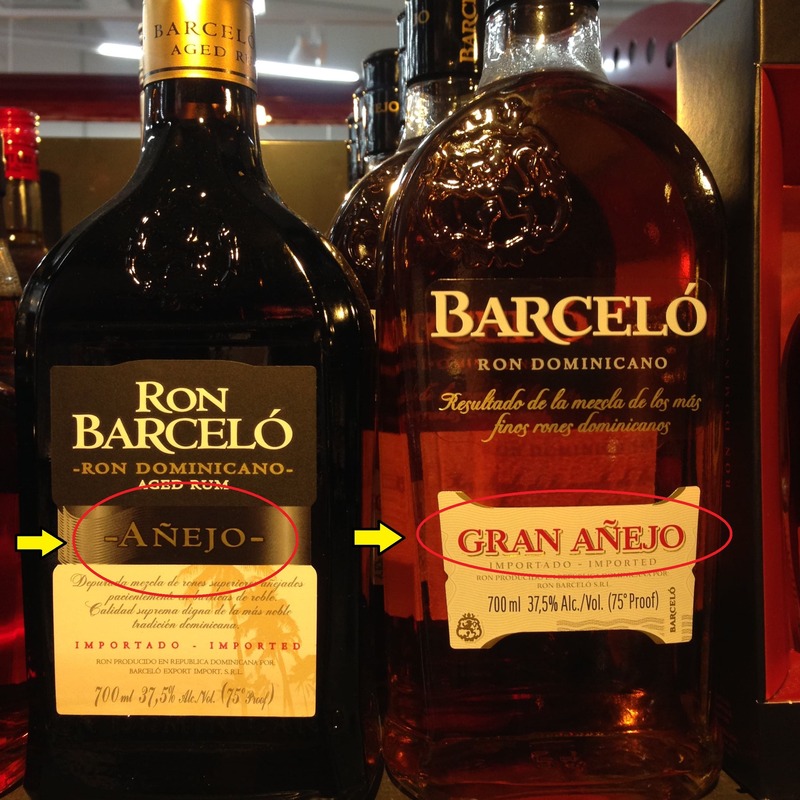 In Spanish speaking countries, varieties that are stored over a long time usually receive the title „Añejo“. There are no internationally binding criteria as to when rum can receive that title. With many producers you can find this labeling after a storage time of a minimum of three years. 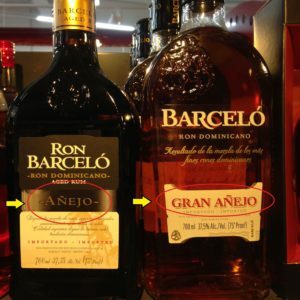 When a bottle of rum has been stored for an extraordinary long time, he often receives the name „Gran Añejo“. This is often a sign that this rum had a lot of time to develop. One must however be careful when it comes to the color, as some producers give the beverage an artificial brown coloring by adding syrup. An example for this is “Captain Morgan Spiced Gold”. 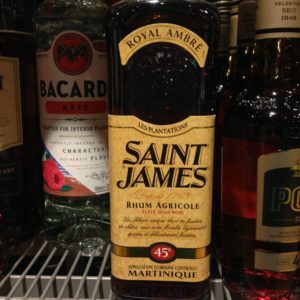 This rum did not turn brown because of the way it was stored, but because of additives. The intention behind this is likely to suggest a higher quality to consumers with little background knowledge. When I drank Bacardi for the first time in 1996, it tasted the exact same as the one you can buy in a store in 2018. When somebody in France buys a bottle of Havanna Club, then it will taste the exact same as one bought in Australia. The consumer owes this consistency to the “Master-Blenders”. After completing the attenuation process, they are in charge of assuring that the rum tastes the same. This is truly an achievement, as the liquors in the different barrels might have been produced according to the same procedure, but can show considerable differences when it comes to aroma. Now the big art of the rum masters is to compose the right dosage and mixture out of the barrels’ content, so that the final taste will be the usual one. It can happen that some barrels taste so bad, that they cannot be bottled by themselves. However they and their flavor are indispensible for the final mixture. Many years of experience are necessary in order to do this work. Additionally, Master-Blenders are responsible for the creation of new varieties, to follow the current taste trends and market developments. On the other hand there are rum varieties that do not require any kind of blending. In that case, the content of a barrel gets bottled and then simply tastes as it does. Those are called “Single Casks”. This technical term is also commonly used for Whiskeys. Of course only exceptional good barrels are being used for this purpose.